Have you ever wanted to reach out to your DNA matches but were hesitant? In this webinar, Shannon Christmas is going to make the process easier for you! He explains how to approach DNA matches and what to say to encourage your match to respond. Named an “essential blog for genetic genealogy education” by the Board of Certification for Genealogists, Through The Trees is a blog for genealogy enthusiasts seeking to locate and leverage new tools and emerging technologies to break through genealogical brick walls. The blog’s author, Shannon Christmas, is an experienced genealogist specializing in genetic, colonial American, and African-American genealogy in Virginia and the Carolinas. He serves as a 23andMe Ancestry Ambassador, administrator of The Captain Thomas Graves of Jamestown Autosomal DNA Project, and as a co-administrator of The Hemings-Jefferson-Wayles-Eppes Autosomal DNA Project. Shannon has a special interest in harnessing the power of autosomal DNA to verify and extend pedigrees, assess the veracity of oral history, and reconstruct ancestral genomes. Routinely invited to lecture at international genealogy conferences, Shannon was one of a select few genetic genealogists invited to participate in the American Society of Human Genetics’ Roundtable on Genetic Ancestry Inference. Shannon was tapped to investigate the genetic lineage of Governor Lawrence Douglas Wilder of Virginia and presented his findings at The 2015 Afro-American Genealogical and Historical Society’s National Conference in Richmond, Virginia. A trained urban planning and real estate consultant, Shannon has a Bachelor of Arts in Government from Harvard University and a Masters in City Planning from the Massachusetts Institute of Technology. Have you ever thought about the motivation behind the choices that your ancestor made to migrate? In J. Mark Lowe's latest Legacy webinar discover why your ancestors went where they did and understand more about your ancestors in the process! Moving from one location to another required a major change in living conditions. The choices that led to the decision to move, and the directions of movement are pivotal in understanding those ancestors. What might help you understand the migration choices your ancestors made? How can we develop strategies that force us to learn more about our family and find new answers? Join us and Elissa Scalise Powell, CG, CGL for the live webinar Tuesday, June 21 16, 2017 at 8pm Eastern U.S. Register today to reserve your virtual seat. Registration is free but space is limited to the first 1,000 people to join that day. Before joining, please visit www.java.com to ensure you have the latest version of Java which our webinar software requires. When you join, if you receive a message that the webinar is full, you know we've reached the 1,000 limit, so we invite you to view the recording which should be published to the webinar archives within an hour or two of the event's conclusion. Are you lost trying to find your Eastern European ancestors? Do perplexing surnames, confusing geography and records written in unfamiliar languages challenge you at every turn? Don’t despair. You can channel some research superpowers to conquer your research roadblocks. Detect. Genealogists often compare themselves to detectives. We follow clues in about our family to make sense of the past. Determining the immigrant’s original name and learning the specific name of the ancestral town or village are the two most essential pieces for success. To do this you must check ALL available resources on this side of the ocean first. While many records are online through sites such as Ancestry.com or FamilySearch.org, you also must be prepared to check microfilm, books, and other sources. It is also necessary to understand the time period and consider geography. For example, when your ancestors departed their homeland, was the area under the Austro-Hungarian, German, or Russian Empire? Did they arrive post-World War I or post-World War II? Did the town names change depending on who was in charge? Decode. During the research process, you will likely hit a number of brick walls—those seemingly unsolvable research problems that wherever you look there appear to be no answers. One issue is with the complex surnames for which spelling can be problematic and often leads to incorrect indexing. Sites such as Behind the Name can help, or you can perform a Google search for websites specific to your ethnic group. Be aware of name changes after the immigrant settled in North America. (Names were not changed at Ellis Island—that's a myth. Read about immigrant name changes in this article by Marian Smith). 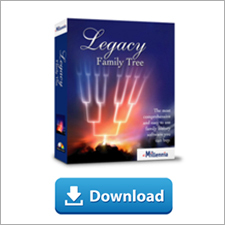 Learn naming practices and patterns to help figure out which Maria or Mihaly is your ancestor. To take account of border changes, consult maps, atlases, gazetteers (geographical dictionaries), books, websites, and town and village histories. Browse the FamilySearch Wiki by country for links to print and online resources. When you are ready to search across the ocean, you will want to see which archives have records online. Start with the free digitized collections at FamilySearch. Another excellent resource is the JewishGen In some instances you may wish to hire a professional researcher based in the country you are researching to pull records from civil archives and other repositories with more restrictive access. Ethnic genealogical societies such as the Czechoslovak Genealogical Society International and the Polish Genealogical Society of America, or even fellow genealogists may provide recommendations. If you can manage it, a heritage trip to your ancestral town or village, and local archives can often turn up previously unknown information not yet available online, not to mention the potential for meeting long lost cousins. Decipher. Many new researchers are dismayed when they locate records for their ancestors, but can’t read them because they are written in German, Hungarian, Latin, Polish, Russian or other unfamiliar alphabets or scripts. While you don’t necessarily need to be fluent in a foreign language to read great-grandma’s baptismal record, you will need to become familiar with keywords and phrases, especially common genealogy terms in the language used to record the information. You can start by watching some language tutorials available for free in the FamilySearch Learning Center, or on YouTube. Online or print dictionaries, books, and FamilySearch Word Lists can also help. Using an online translation tool such as Google Translate is another option, but beware that such tools are usually best for short words or small blocks of text. The accuracy of the translation may be questionable and often local or regional dialects are not taken into account. To ensure a proper translation, you could post a short query to Facebook (Try Genealogy Translations on Facebook or just do a search for Polish, Czech, Hungarian, etc. ), or hire a professional translator. For more tips, tools, and resources, watch Lisa's bonus webinar on "Survival Skills for Eastern European Genealogists,” available to subscribers in the Legacy Family Tree Webinars Library. Just as a superhero never surrenders, neither should you. Yes, tracking down elusive Eastern European ancestors can be a daunting task. There is no “Easy Button.” But remember that genealogy is one part skill, one part persistence, and one part serendipity. New record sets are being released all the time, so keep checking websites for new or updated content. Channel your powers to detect, decode, and decipher and start solving your family history mysteries. Lisa A. Alzo, M.F.A. is a freelance writer, instructor and internationally recognized lecturer specializing in Eastern European genealogy, writing your family history, and finding female and immigrant ancestors. She is the author of 10 books, including The Family Tree Polish, Czech and Slovak Genealogy Guide, and the award-winning Three Slovak Women. Lisa is a frequent speaker for Legacy Family Tree Webinars, and blogs at The Accidental Genealogist. She can be reached at http://www.lisaalzo.com. Are you ready to take the next step in exploring your autosomal DNA? If you've exhausted your analysis of shared matches and examining online trees then it's time to discover some advanced techniques. This presentation takes a look at tools such as chromosome browsers that will help propel your research forward. Come explore the possibilities! Autosomal DNA is a flexible, information-rich test that has most people left wondering what the next steps should be. We will briefly explore the more advanced tools and methodology behind the results at the major testing companies. We will talk in detail about phasing, centromeres, chromosome browsers, and the molecular clock. We will also explore external genetic genealogy websites with their vast array of additional analysis tools including: Gedmatch- a meeting ground for those tested at any of the three main companies, Gedmatch has a wide variety of tools available including chromosome browsers, admixture calculators, and a unique tool called Lazarus that can help you reconstruct the DNA profile of your ancestor. DNAGedcom.com- there are a variety of tools available here for helping you make connections with your genetic cousins. 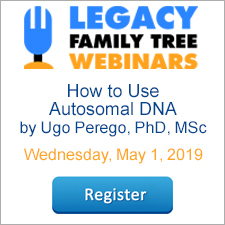 We will specifically explore the Autosomal DNA segment analyzer to understand its power in helping to navigate your results at Family Tree DNA. Promethease- For a small fee you can extract a limited amount of health information from an autosomal DNA test completed by any major DNA testing company. We will talk about the pros and cons of this kind of information and help you make an informed decision about obtaining health information from your genetic genealogy test results. Take your DNA test to the next level with these exciting genetic genealogy tools!